English is considered a monster section by most of the Banking Aspirants. Also it has been found that even after a good quality of preparation, it is difficult to score cent percent. 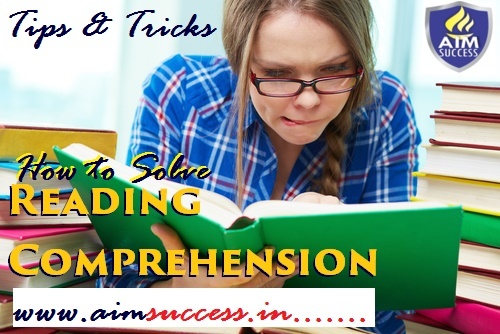 In this post, we particularly are emphasizing on the Reading Comprehension topic, which constitutes maximum number of questions in any Banking Exam. Subsequently in this post we will analyze the approach, and strategize to score better in this section. Reading Comprehension is the ability to read text, process it and understand its meaning. In addition, RCs are aimed at testing a candidates Knowledge of two elements i.e. Vocabulary and Text Comprehension. And it is interesting to note that both these elements play a crucial role in better understanding of the passage i.e. for understanding a text, one must have better knowledge of Vocabulary. But what is more complex and varied out of the above two elements is the Text Comprehension. The current trend of questions that come in the RC are inference based i.e. the questions are not direct but one has to infer from the given passage. Also there can be one or more conclusions given in the question which are true/false depending on what is asked in the question. Now let’s move towards the Approach that one should follow while performing a RC in the exam. The most common suggestion and approach is first read the entire passage and then answer the question that follows. Firstly let’s discuss this approach in detail. Try to make notes while solving/ reading RCs. It is crucial for locating the appropriate information and also acts as a mental bookmark, thus helping in better understanding of the topic. i) Subject of the passage – which/what is the precise thing the author, is talking about. ii) Main idea of the passage – what the author is saying about the subject. iii) Tone of the author of the passage – which is manner author has adopted in the passage. As soon as one figure out the above three things and central point of the passage, one will be familiar with the gist [GI – general Idea + S – Structure + T- Tone] of the passage. This will also help you to build a thematic composition and logical sequence of the passage. Thus enable you to answer questions from particular parts of the passage. But this sole approach is beneficial for the ones who generally read very fast. Then what approach should one follow in a RC, below are the some of the approaches that one must try. 1. Instead of reading the entire passage, read critically the first and last paragraph of the RC. Generally what the author is saying can be identified in the first few lines of the passage, which in case of longer passages becomes roughly 1/3rd of the passage. For the rest passage examine hastily, what the author has said about the subject. Also for longer passages, try to put down in 10-15 words, for each paragraph, what you feel are the central points of the passage. 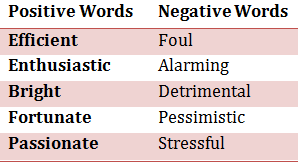 These three kinds of words describe three roles that words can play in a paragraph. Continuity words: The author would support his point of view further. Contrast words: The author would introduce a contrarian point of view. Conclusion words: The author would sum up his argument so far. Thus these words help you establish the motive of the author. 4. Whenever a question is asked on a phrase given in the passage, just read the three lines above and below that phrase to have an idea of what is implicit from that phrase. 5. There are around 4-6 questions based on Synonyms and Antonyms, these questions can be answered if you have good vocabulary and if your vocabulary is not good, then read the sentence in which the word is used to get a rough idea of the meaning of the word. Read the first 2 paragraphs, scan all the questions and see what you can answer, then read Para 3 & 4, scan the questions and see what you can answer, then read Para 5& 6!! Read question 1 with all the options, then go through the entire passage to answer it. Then read question 2, go through the entire passage. Then question 3! Just read all the question stems, without reading the answer options. Then read the passage and try answering the questions by reading them with the options. After practicing all above strategy and approach, here is a list of tips you must follow while doing a RC. 1. Eliminate and not select: In most cases, elimination of choices work better than selection of choices. Here is an approach to eliminate which is ‘BANE’. Eliminate choices that are too broad, too narrow, that are alien (Strange) and too extreme. 2. Never apply your own knowledge to the given passage. Confine your understanding to the given passage only.